Mo Tom’s been the hard luck story of the 2016 Kentucky Derby (G1) trail, better known for being badly hampered when trying to rally in the Risen Star (G2) and Louisiana Derby (G2). In the process, his actual talent has gotten lost in the shuffle. Bred by Hargus and Sandra Sexton and Silver Fern Farm, Mo Tom is from the first crop of champion Uncle Mo – the sire of Derby favorite Nyquist and fellow rival Outwork. “Very much like his sire,” said Kitty Taylor of Warrendale Sales, which consigned him (as well as Exaggerator and Suddenbreakingnews) to the 2014 Keeneland September Yearling Sale. Taylor said that because he wasn’t a flashy type, he was “under the radar” at the sale and went for $150,000 to Gayle Benson’s GMB Racing. Named Mo Tom in honor of Gayle’s husband, Tom Benson, who owns the NFL’s New Orleans Saints and the NBA’s Pelicans, he is one of two Benson runners in Derby 142, along with Tom’s Ready. Mo Tom showed plenty of raw ability in his early training for Todd Quast of GoldMark Farm. 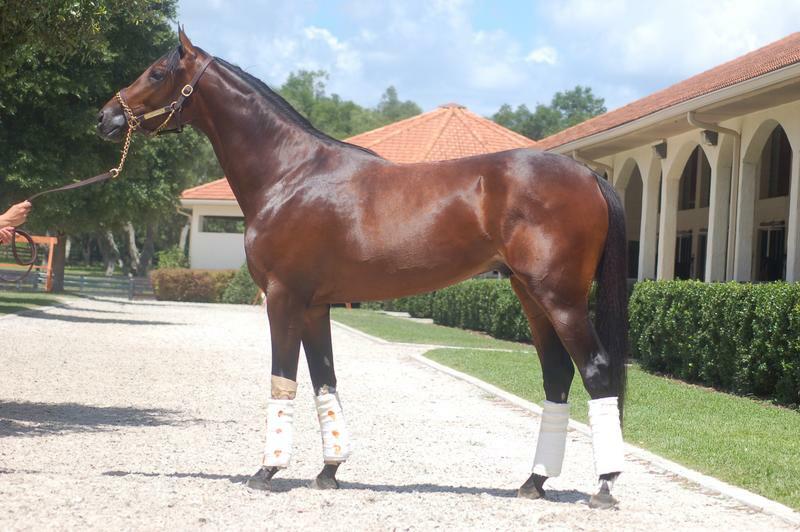 Of 42 promising youngsters learning the ropes at the Ocala, Florida facility, Mo Tom stood out. “A big, stout, good-looking horse” who was “bigger, stronger-looking than the others,” Quast recalled. And that’s saying something, since also in that talented group were future Derby foes Majesto and Whitmore, as well as Kentucky Oaks (G1) runner Paola Queen. “He was always just so professional,” Quast said of Mo Tom. “He was so big and burly, that he could have been tough” if he’d wanted to throw his weight around. Thankfully, Mo Tom wasn’t that way at all. “He enjoyed training and was very straightforward,” with a bit of boyish play about him, but just the right amount of spiritedness that you’d expect. As he was put through his paces, Mo Tom already demonstrated what would become his signature trait: “a devastating kick,” as Quast put it. His closing kick propelled him to victory over Tom’s Ready in the January 16 Lecomte (G3) at Fair Grounds, the hometown track of his New Orleanian connections. If you watch the replay through to the end, you’ll see bonus coverage of him in the Keeneland sales ring as a yearling. Like all fans of Mo Tom, Quast is hoping that he’ll get a clean trip in the Derby, giving him the opportunity to show just what he can do. “He’s a very cool horse that I think is knocking on the door for great things,” Quast said. Photos courtesy of Todd Quast.